I manage to create the definitive file "SmallMoons". This file contains the moons of Jupiter, Saturn, Uranus and Neptune that are missing in Space Engine, and the official names, decided by Nasa, for the moons which had the provisional name (for example 2003 J8 that is moon Hegemone of Jupiter). I have attached, also, an excel file where there are the explications of planets and moons. They're all there. Kudo's to you sir. Space Engine is a very good and realistic simulator but the situation, that many satellites, of the most important planet like jupiter o saturn, are missing, reducing the value of the program. That' why I decide to modify the file "SmallMoons" of the program. I remember to all people who read this thread that the file "SmallMoons" must to place in the folder named "planets". But, with my great wonder, I realized that existing many differences between the nasa's sites themselves, as you can to see by the images that I attached to this post. 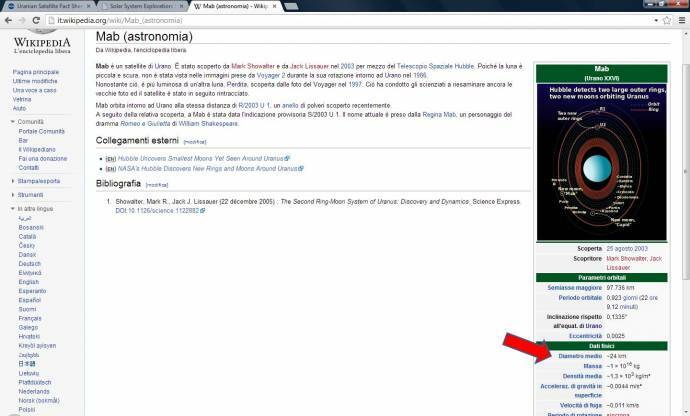 There are differences even between the two sites nasa and wikipedia, but we say that wikipedia is free from variously people, and for this it's not very credible. 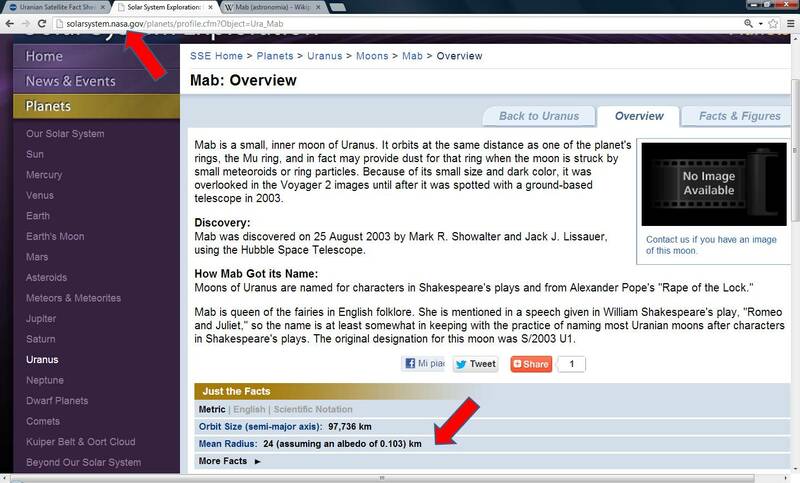 Therefore I had to decide and in many cases I have utilised the data of solar system nasa site. About the rotation period, rotationoffset, ascending node, arg of pericen and mean anomaly, I have utilised the datas of the program Celestia; and this because I don't say how to calculate these datas. I have attached, to this post, also the two files of Celestia program, as you can check: they are "Minormoons" and "Numberedmoons". Instead, when I didn't even thesee datas (ascending node, ecc.) 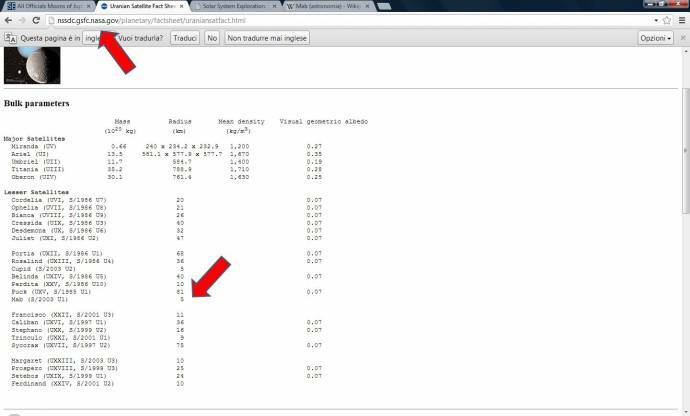 I did not put nothing (for example for the 4 satellites of Jupiter, which are discover in 2010 and 2011). I have put only eccentricity, inclination, period and semi-major axis. However I think that also Nasa itself have many many doubts of the reals parameters of these moons and therefore I think that the work that I did is very close to reality. Even though I hate the IAU, shouldn't we only use the IAU names for objects and not names assigned by other agencies? wikipedia is free from variously people, and for this it's not very credible. On matters of this sort, the English Wikipedia is very reliable. I cannot speak for the Italian Wikipedia, but in general it has been my observation that the English Wiki has superior quality to most of the others (at least on scientific subjects). Anyway, a well-written Wiki article will cite its sources for all information so that you can verify it. For satellites where this is not known, you can leave them out of the catalog and SE will make them for you. That would simplify things and be very nice. Anything that adds more to SE is welcome. Nice job. As for Wikipedia, I have often had the discussion with people at school that Wikipedia really is more reliable than most people think. However, when it comes to variable numbers, like populations in a certain year etc. I've often noticed differences in multiple related articles or in the Dutch translations. Excellent!. Good work!. Agree this mod should be part of Space Engine. Thank's Jtmedina, even you are very very gentle.